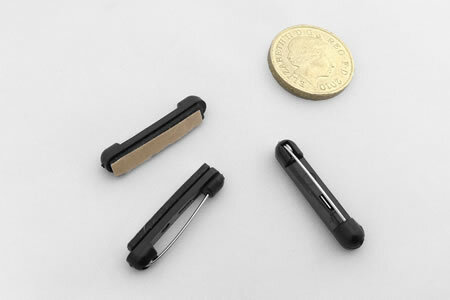 Our self adhesive pins are manufactured using a plastic body and nickel plated mild steel pin. They have a self adhesive strip fixed to them, making them quick and easy to use. 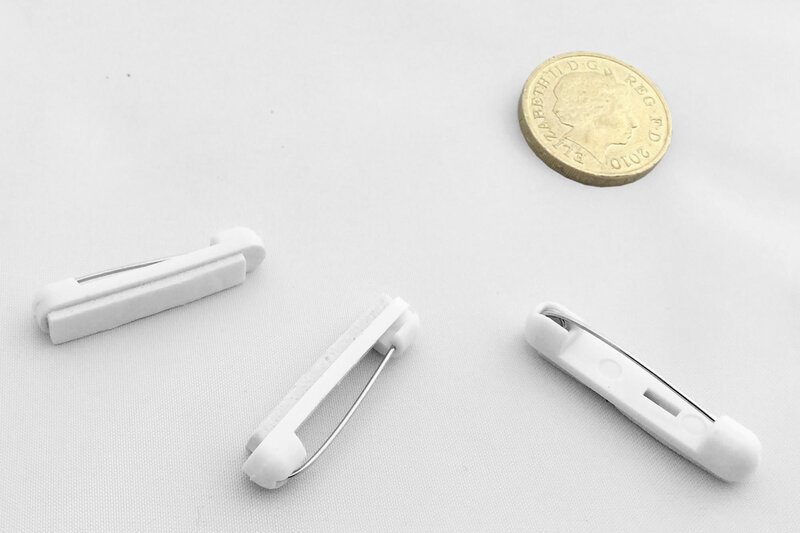 The self adhesive pins are a popular choice within badge and rosette manufacturing and are also used by promotional material manufacturers and various other craft industries. IFC are the UK's leading self adhesive brooch pins stockists and self adhesive brooch pins suppliers.